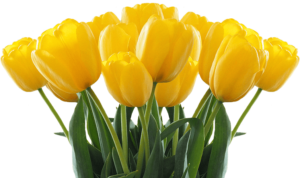 Privacy statement - American Tulip Day - Don’t miss the chance to pick your own! AmericanTulipDay is responsible for processing personal data as set out in this privacy statement. AmericanTulipDay does not make use of automated decision making on matters that could have significant consequences for individuals. American Tulip Day will share your personal data with various third parties if this is necessary to perform a contract and in order to comply with any legal obligation. We conclude processor agreements with companies that process your data on our behalf to ensure the same level of security and data confidentiality. AmericanTulipDay remains responsible for these processing operations. AmericanTulipDay uses functional, analytical and tracking cookies. A cookie is a small text file that is stored on your computer, tablet or smartphone when you visit this website for the first time. The cookies we use are necessary for the technical operation of the website and your convenience. Cookies also help us to optimise our website. They ensure that the website works properly and remember your preferred settings, for example. We also place cookies that track your browsing behaviour so that we can provide tailored content and advertising. You have the right to access, correct or delete your personal data. You also have the right to withdraw your consent for data processing or to object to the processing of your personal data by AmericanTulipDay. And you have the right to data transferability: this means you can submit a request to us to send the personal data that we have about you in a computer file to you or to another organisation specified by you. AmericanTulipDay would also like to inform you that you have the right to lodge a complaint with the national supervisory authority, the Dutch Data Protection Authority. You can do this via the following link. AmericanTulipDay takes the protection of your data seriously and has measures in place to prevent misuse, loss, unapproved access, unwanted disclosure and unauthorised alteration of your data. If you believe that your data is not secure or there are indications of misuse, please contact us with our contact form.